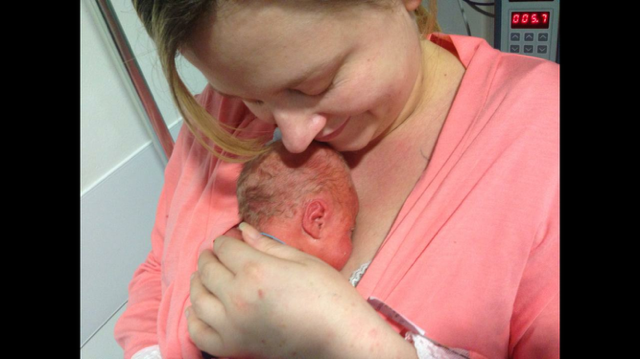 Ronnie James was born at 30+3 weeks at 12:09pm (in April 2014) after an emergency C-section under General Anaesthetic; weighing 4lbs 0.5oz’s (which was quite big considering how early he was!). 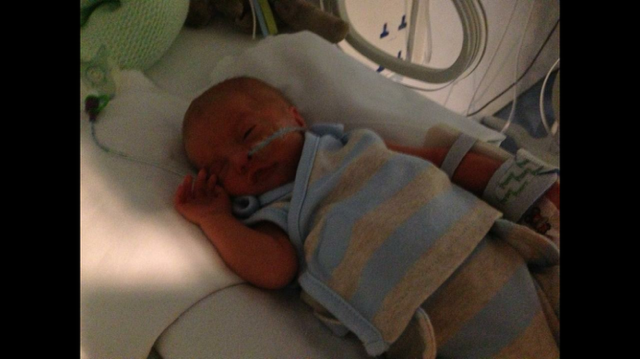 We delivered in Bedford but due to Ronnie’s prematurity he was transferred to Lister Neonatal Intensive Care Unit. It was all quite dramatic; I only got to see my little boy for a few minutes before he was whisked away. He held on to my finger and I told him to be good and I would see him soon. I spent the next 24 hours in Bedford and Ronnie was in Stevenage. I was very sore and a little upset that all the other mummies had their babies. The next day I was transferred to Lister as a patient and got to go and see my baby boy! It was a very special moment. There were lots of wires and he was on CPAP for a couple of days but I was just so glad to be in the same building as him. Having my first cuddle was amazing; to see his vital signs and blood saturation levels register at PERFECT! Just having him close settled the both of us. Ronnie was in Lister for 10 days in total (which was quite speedy considering) and spent time in every room, he wanted to make sure he didn’t miss anything! I stayed in the parent rooms and the staff in the unit could not have been nicer. I felt that we were so looked after, despite an infection scare, me doing the C-section shuffle, finding it difficult to express milk and generally feeling anxious. 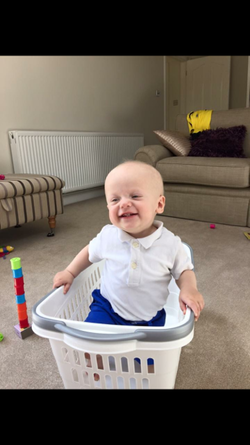 Ronnie was then moved to Bedford as he was bigger now, we spent the next four weeks in hospital and he came home fully breast feeding with no oxygen on the 1st May 2014. That’s when the real hard work started…..!! I now have a very energetic 15 month old, he isn’t walking yet but you wouldn’t know it as he is speedy Gonzales with the crawling and don’t get me started on the climbing!!! When I look back on that time, I think how lucky we all were and it has definitely made us stronger.